NOW OPEN: Minister for State Development Dr Anthony Lynham, Premier Annastacia Palaszczuk, Sunny Queen Australia managing director John O'Hara and Ipswich Mayor Paul Pisasale at the grand opening of the new $40 million manufacturing facility in Carole Park. QUEENSLAND-based business Sunny Queen Eggs has moved into a new $40 million head office and manufacturing warehouse in Carole Park. The new 2220sq m factory in Mica St includes a new food processing facility to allow the company to expand into pre-prepared meals such as poached eggs and omelettes. These will be distributed to a variety of commercial kitchens in schools, mining companies, hospitals, airlines and more. The expansion has also been a boost to the local economy, with 39 new jobs created at the Carole Park facility. 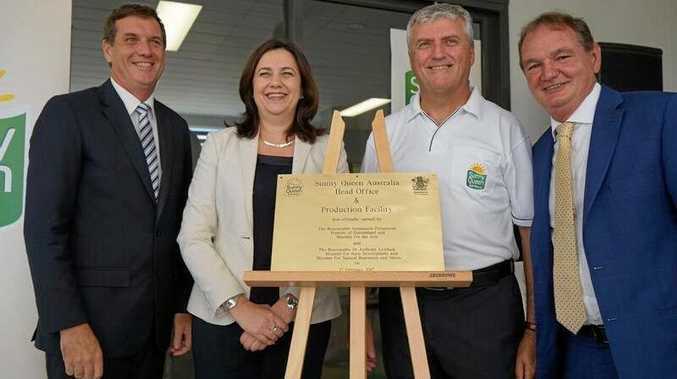 Premier Annastacia Palaszczuk, Minister for State Development Dr Anthony Lynham and Ipswich Mayor Paul Pisasale joined Sunny Queen Australia managing director John O'Hara for the official opening. Ms Palaszczuk described Sunny Queen Eggs as a Queensland success story. "This company is growing from strength to strength. 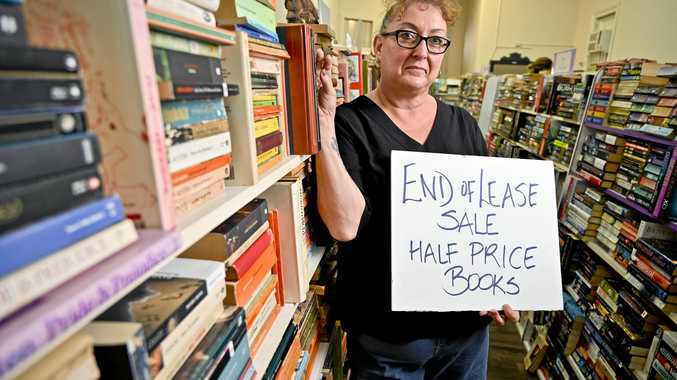 They are growing jobs and employing over 110 people and a third of their workforce is new," she said. "What my government wants to do is to continue supporting companies such as Sunny Queen to grow and expand and help them expand into overseas markets. "While other countries are looking inwards, Queensland is looking outwards because we know through trade expansion this means jobs here locally in Queensland." Dr Anthony Lynham said the Queensland Government was supporting the manufacturing sector with initiatives such as the Advanced Manufacturing Roadmap and the $20 million Made in Queensland grant program. "The $7.6 million, 10-year Advanced Manufacturing Roadmap is one of six road maps being prepared under the $405 million Advance Queensland program," Dr Lynham said. "Manufacturing is the fifth biggest contributor to the State's economy and employs almost 170,000 Queenslanders. "Manufacturing is one of Queensland's traditional strengths. "We want to expand to create new jobs and new products that can be sold into local and export markets."